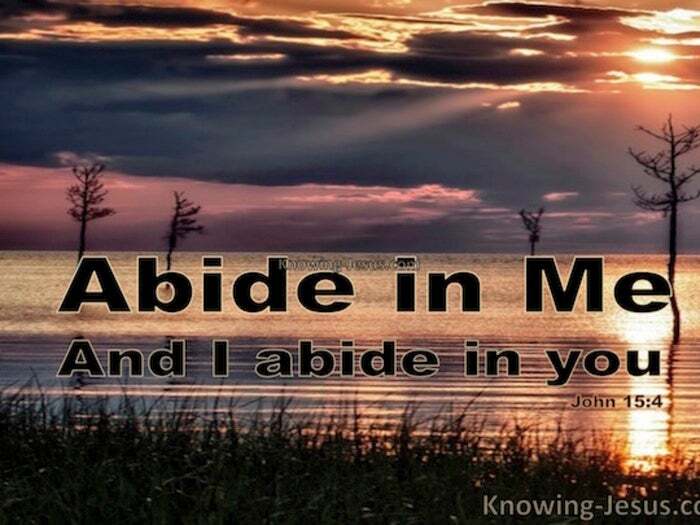 Abide in Me – and I abide in you…. You are abiding in Christ if God’s Spirit DWELLS in you – is at home in your heart.. and Christ is abiding in you when His Holy Spirit is comfortable in your presence. Christ is our example who demonstrated how man should live in spirit and truth. Christ lived His life abiding in the Father – doing only what He saw the Father do. Christ lived in complete submission to the Spirit.. walking in the power of the Spirit – for the Spirit of God dwelt in Christ – God’s Spirit was at home in Christ. 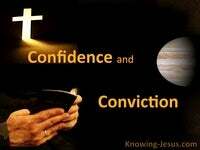 He maintained close communion and unhindered fellowship with the Father. He relied on the Father instead of doing things in His own strength – His own way. He submitted to the leading and guiding of the Holy Spirit in His life. He listened to the Father’s voice – preferring to do the Father’s will than His own. He was submissive to the Holy Spirit and sensitive to His inner promptings, and the Holy Spirit of God dwelt in Him and was comfortable in Him – was at home in Him. We are all called upon to live as Christ lived and it is not an impossible task. We are all commanded to abide in Him and we are given the means to do so.. but we can only live as Christ lived when we abide in Him and rest in Him – and we can only abide and rest in Him as we live as Christ lived. We can only abide in Christ when His Holy Spirit is at home in our hearts. Oh! Every believer has the INDWELLING Spirit of God in their heart. The moment a person believes in Christ the Spirit indwells that person. From that moment on the Spirit will never, ever leave that believer’s heart.. but the Spirit of God is not at home or comfortable in all believers’ heart – the Spirit of God does not dwell or abide in carnally minded believers. Some believers are spiritual believers and the Spirit is at home in their lives. Spiritual believers are simply those that give Christ centre stage in their lives – the Spirit of Christ dwells in them – He abides in them – and they walk like Him. Some believers are carnal believers and the Spirit does not feel at home in their lives.. though the Spirit permanently indwells them, He is not comfortable in their presence. Although they are saved.. the Spirit does not dwell in their heart – or abide in them. 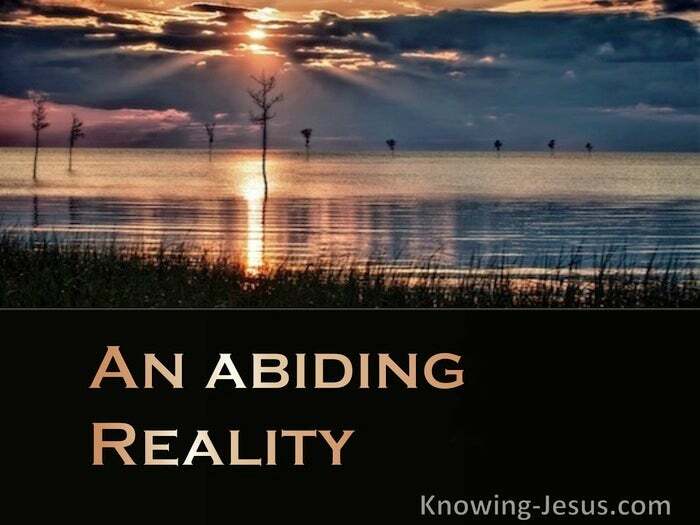 Only as Christ dwells in our heart can we abide in Him as an abiding reality. Only as we submit to His leadings and promptings do we discover this abiding reality. Only as we abide in Him does the Spirit of Christ become our abiding reality – and then we can walk in the spirit – pray in the spirit – live in the spirit. We are all called on to walk as Christ walked and to live as He lived – to abide in Him.. and the more comfortable we are with Him the more He dwells in our heart. 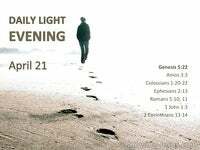 Let us seek closer communion and unhindered fellowship with the Father. Let us rely on the Father instead of trying to do things in our own strength. Let us submit to the leading and the guiding of the Holy Spirit of Christ. Let us listen to the Father’s voice – preferring the Father’s will to our own. Let us submit to the Holy Spirit and be sensitive to His inner promptings, for in so doing the Spirit of God will abide in us as we abide in Him – and as we abide in Him the Spirit of Christ will become our abiding reality.